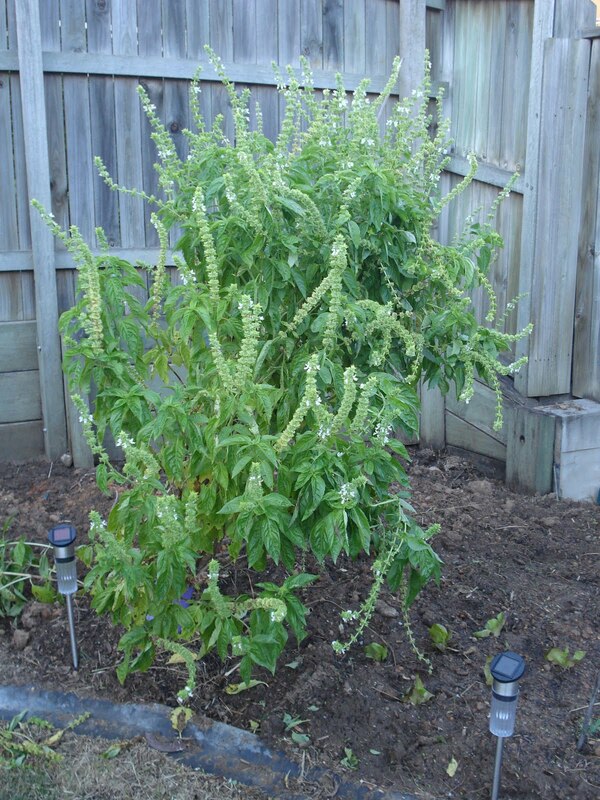 The basil plant in our garden is thriving and becoming more like a bush than a plant. After it was planted by my father-in-law, the bees went crazy with pollinating it. At one point, it was surrounded with a swarm of bees that we could not go anywhere near it. There is no way for the two of us to use that much basil in our cooking. A brilliant idea came up while I was cleaning the fridge. I threw out a bottle of expired pesto and decided that I could make one with the fresh herbs from my garden. 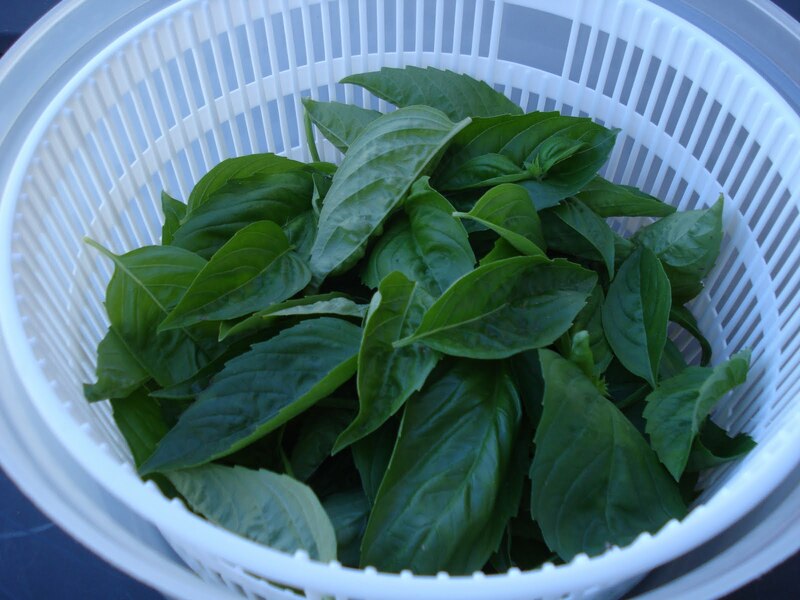 Cut a bunch of fresh basil leaves from the garden. Wash and dry the leaves. Sprinkle a few drops of lemon juice on the leaves to prevent oxidization. 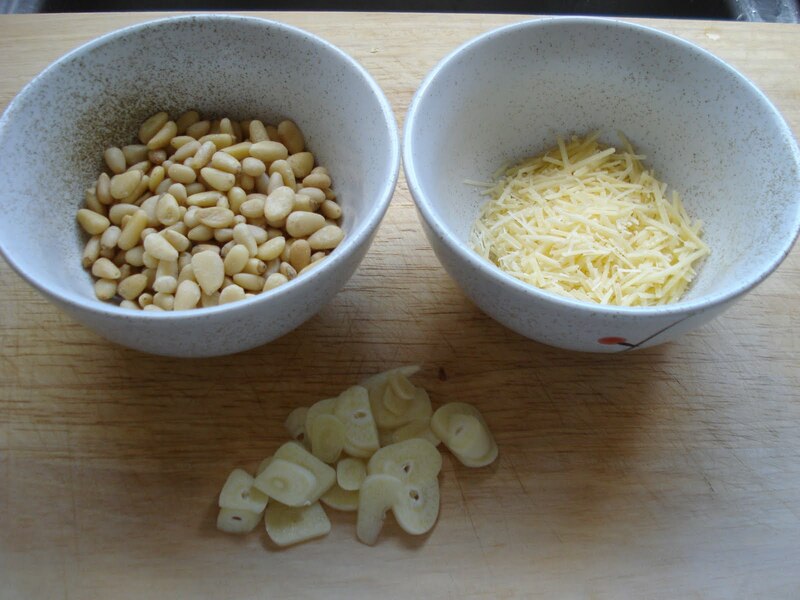 Grind pine nuts, garlic and parmesan in the food processor for 30 seconds. Mix in the basil leaves and continue grinding. Gradually pour the olive oil. Continue grinding until a smooth consistency is reached. Transfer to an air-tight container and store it in the fridge. 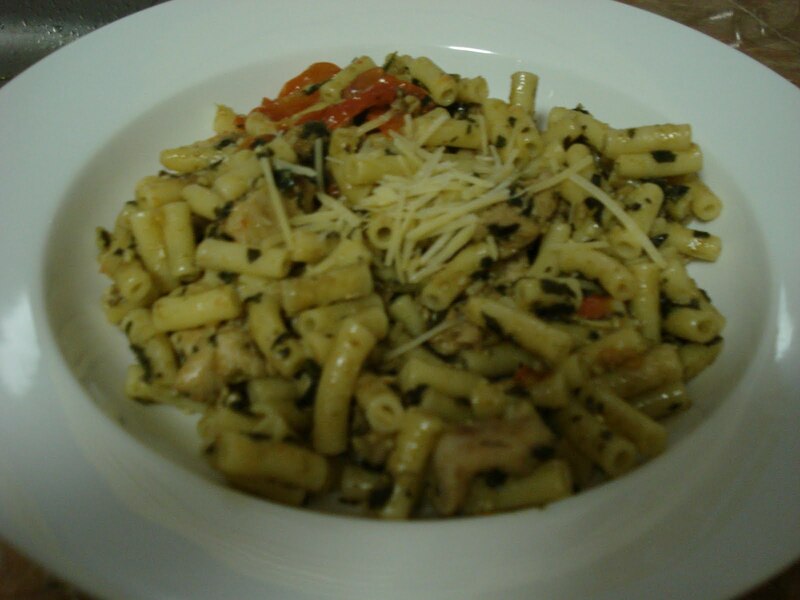 Fresh pesto lasts up to a week in the fridge and 3 months in the freezer. Next, I will try to make chilli paste from the fresh chillis in my garden. Stay tuned.